Dubai: Business visitors in the UAE can now start securing value-added tax (VAT) refunds, it has been confirmed. The Federal Tax Authority (FTA) announced on Tuesday that it is now receiving refund applications for VAT charges incurred in the UAE by business visitors in 2018, a move that seeks to further cement the country's position as a business-friendly destination. Those who are qualified to secure a refund can simply access a dedicated form through the FTA website. The minimum VAT amount that can be reclaimed is Dh2,000. Since January 1, 2018, consumers have been paying an extra 5 per cent on most goods and services, ending an era of a completely zero-tax regime. But not every single shopper is mandated to pay the tax. 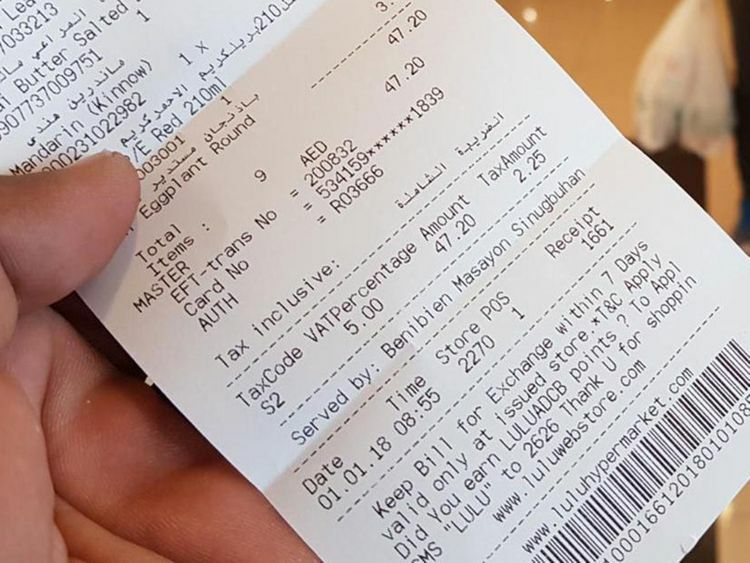 Tourists, for one, are entitled to claim back the taxes on any purchases they make in the UAE, effective November 18. As for business visitors, the FTA clarified that VAT refunds are available to those who have no place of establishment in the UAE or another "implementing state" in the Gulf Cooperation Council (GCC) region. “The VAT Refunds for Business Visitors procedure calls for refunding taxes to business visitors who have no place of establishment in the UAE or another GCC implementing state; who are not registered or are not a taxable person in the UAE; who are registered as an establishment with a competent authority in the jurisdiction in which they are established; and who are from a country that implements VAT and refunds VAT to UAE entities in similar circumstances,” the FTA said in a statement. FTA director general Khalid Ali Al Bustani said the new procedure complements efforts to establish the UAE as a global hub for trade and creates an investment-friendly environment to support economic activities in the sectors where business visitors are active. “Reciprocity is a key condition for the procedure, whereby the authority will collaborate with countries that refund VAT for UAE businesses visiting their territories,” Al Bustani explained. 1.To be able to claim a refund, visitors need to submit their original tax receipts. 2. Businesses residing in any GCC state that has not implemented VAT can still get a refund. The foreign business in question makes supplies in the UAE, unless the recipient is obliged to account for VAT under the reverse-charge mechanism. The input tax in respect of any goods or services is non-recoverable, as per VAT legislations, therefore, not recoverable by a taxable person in the UAE.